historical event: Revolutionaries sailed to Cuba in the American yacht. It is interesting that more than 80 of them crammed into a yacht designed for only 12 people. On this day Cuban revolutionaries, led by Fidel Castro, landed in Cuba, ending a period of exile spent in Mexico and starting a new phase of revolutionary struggle on the island. Castro had fled to Mexico after the first attempt to attack the regime of Fulgencio Batista in Cuba failed. 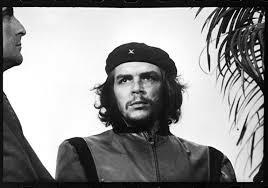 During his stay in Mexico, Fidel Castro met Ernesto Che Guevara, an Argentine revolutionary, and began to prepare plans to return to Cuba and topple the local regime. They practiced combat skills and acquired a boat that would transport them to Cuba. It was the American yacht named Granma (short for Grandmother, after the grandmother of the former owner). In the Mexican city of Tuxpan Fidel Castro, his brother Raul, Che Guevara, and 79 other revolutionaries boarded that 18-meters-long yacht with a capacity for 12 people. Thus, over 80 people boarded a vessel designed for 12! They set off towards Cuba, almost sinking on the way due to overloading the ship. On this day, they landed on the beach of Las Coloradas in an inaccessible part of Cuba. Soon they were attacked by Batista’s army, and most were killed. About twenty survivors retreated to the Sierra Maestra mountains, and from there began a long-lasting guerrilla war, which will lead to victory three years later. The Granma yacht has become a Cuban revolutionary symbol, and the day of the landing has been declared the “Day of the Cuban Armed Forces”.